SMU chemist Alex Lippert has received a National Science Foundation CAREER Award, expected to total $611,000 over five years, to fund his research into alternative internal imaging techniques. NSF CAREER Awards are given to tenure-track faculty members who exemplify the role of teacher-scholars through outstanding research, excellent education and the integration of education and research in American colleges and universities. Lippert, an assistant professor in the Department of Chemistry in SMU’s Dedman College of Humanities and Science, is an organic chemist and adviser to four doctoral students and five undergraduates who assist in his research. Lippert’s team develops synthetic organic compounds that glow in reaction to certain conditions. For example, when injected into a mouse’s tumor, the compounds luminesce in response to the cancer’s pH and oxygen levels. Place that mouse in a sealed dark box with a sensitive CCD camera that can detect low levels of light, and images can be captured of the light emanating from the mouse’s tumor. Lippert says the nearest-term application of the technique might be in high-volume pre-clinical animal imaging, but eventually the technique could be applied to provide low-cost internal imaging in the developing world, or less costly imaging in the developed world. But first, there are still a few ways the technique can be improved, and that’s where Lippert says the grant will come in handy. Another challenge the team will use the grant to explore is making a compound that varies by color instead of glow intensity when reacting to cancer cells. This will make it easier to read images, which can sometimes be buried under several layers of tissue, making the intensity of the glow difficult to interpret. Lippert joined SMU in 2012. He was a postdoctoral researcher at University of California, Berkeley, from 2009-12, earned his Ph.D. at the University of Pennsylvania in 2008 and earned a bachelor’s in science at the California Institute of Technology in 2003. The National Science Foundation (NSF) is an independent federal agency created by Congress in 1950 “to promote the progress of science; to advance the national health, prosperity, and welfare; to secure the national defense…” NSF is the funding source for approximately 24 percent of all federally supported basic research conducted by America’s colleges and universities. Anthony Cortese, Sociology, Dedman College of Humanities and Sciences, presented a paper, “Ethical Approaches to Ethnoviolence: An Interdisciplinary Team-Taught Course,” at the 2013 annual meetings of the Pacific Sociological Association in Reno, Nevada in March. Matthew Rispoli, a Master of Science candidate in electrical engineering in Lyle School of Engineering, has received a National Science Foundation Graduate Research Fellowship for study in condensed-matter physics. His graduate fellowship will provide a stipend of $30,000 per year for three years. Jewel Lipps, a sophomore environmental science and chemistry major in Dedman College of Humanities and Sciences, has received a grant through the NSF’s Research Experiences for Undergraduates (REU) Sites Program. She will participate in environmental research during Summer 2013 at the Forest Lakes site in New Jersey. Han Na Kim, a senior political science and marketing major in Dedman College and Cox School of Business, has been awarded a 2013 Fulbright English Teaching Assistantship to Korea. An interdisciplinary team of researchers will examine how humans in the Southwest have responded to changes in the surrounding forests over multiple centuries. The research is funded by a four-year, $1.5 million grant from the National Science Foundation. 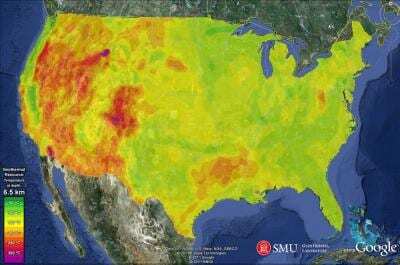 The project is about forest fire history, fuels and forests, how human activities have changed them, and the influence of drought and dry conditions, said Thomas W. Swetnam, principal investigator on the grant and director of the University of Arizona Laboratory of Tree-Ring Research. Christopher Roos, archaeologist and assistant professor of anthropology in SMU’s Dedman College of Humanities and Sciences, is co-principal investigator for the study, which will use tree-ring and archaeological methods to reveal the fire history of the forest and of the forest close to the human settlement sites. In addition to Roos and Swetnam, co-principal investigators are T.J. Ferguson, a professor of practice in UA’s School of Anthropology; Sara Chavarria, director of outreach for UA’s College of Education; Robert Keane and Rachel Loehman of the USDA Forest Service’s Missoula Fire Sciences Laboratory in Montana; and Matthew J. Liebmann of Harvard University’s department of anthropology. The scientists are focusing on New Mexico’s Jemez Mountains, where native peoples lived within the ponderosa pine forest in significant numbers for centuries before Europeans came to North America. While fire is a natural part of the Southwest’s forests and grasslands, the region’s massive forest fires this year were exacerbated by decade-long drought. In addition, more people are living in or near fire-adapted ecosystems, increasing the likelihood that human activities will affect and be affected by forest fires. The team will study the interplay among human activities at the wildland-urban interface, climate change and fire-adapted pine forests. Anthony Cortese, Sociology, Dedman College, organized and moderated a session on “Race, Social, and Gender Inequality” at the 2009 annual meetings of the Pacific Sociological Association, which took place April 8-11 in San Diego, California. Pia Vogel, Biological Sciences, Dedman College, was co-moderator for panel disussions on cancer biology and career opportunities at a Houston conference, “Frontiers of Cancer Research: Biology, Emerging Technologies and Therapeutics,” sponsored by The Academy of Medicine, Engineering and Science of Texas. The Academy was founded in 2004 to provide broader recognition of the state’s top achievers in medicine, engineering and science, and to build a stronger identity for Texas as a center of achievement in these fields. Members include Texas Nobel Laureates and more than 200 National Academy members. The HBO special “Breaking the Huddle: The Integration of College Football,” featuring SMU alumnus Jerry LeVias (’69), is one of 8 films being honored April 29, 2009 by the Academy of Television Arts and Sciences. University Archivist Joan Gosnell, Central University Libraries, helped provide photos and materials from the University Archives for the special. Heritage Hall Chair Gerry York (’58) also helped with research. Daniel Salta, a junior double major in mechanical engineering and mathematics in the Lyle School of Engineering and Dedman College, has been accepted to the National Science Foundation‘s Research Experiences for Undergraduates (REU) program for Summer 2009. He will work with Radovan Kovacevic in SMU’s Research Center for Advanced Manufacturing in the Lyle School. The national REU program supports the participation of students nationwide in research labs and projects. Amy Hand, a Dedman College student double-majoring in physics and mathematics, also has been accepted to the NSF REU program for Summer 2009. She will do her research at CREOL – The College of Optics and Photonics at the University of Central Florida in Orlando. SMU is a partner in a newly designated National Science Foundation research consortium aimed at building both military and commercial superiority by making technology faster, better and smarter. The Net-Centric Software and Systems Industry/University Cooperative Research Center, which also includes two other universities and 11 companies, will focus on improving how complicated information is gathered, shared and used, from the battlefield to the boardroom. For example, FedEx’s package tracking system, which links employees, customers, suppliers and partners, is an example of a commercial application of net-centric technology. And on the battlefield, where information superiority already translates to combat power, future net-centric systems will connect ground and air combat, linking shooters, decision makers and sensors toward a common goal.